Antisense therapy: a promising new way to treat neurological disease. Huntington’s disease is caused by a mutation in the gene that makes a protein called huntingtin. The mutation makes the protein bigger and more likely to clump together. It is this increased stickiness that scientists believe causes brain cells to die in people with Huntington’s disease. As the disease progresses, it affects movement, learning, thinking, and emotions. At the moment, there are no treatments for Huntington’s. Most people die within 15 to 20 years of receiving a diagnosis. But now, at least, there is hope. 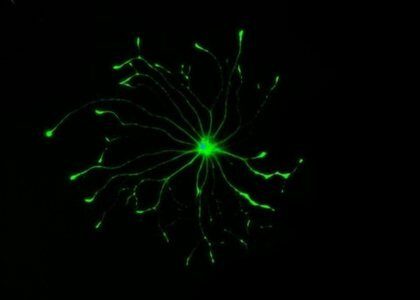 The new drug, developed by scientists at University College London working with a pharmaceutical company called Ionis, seems to be able to stop the production of the mutant huntingtin protein by silencing the mutated gene. The next stage is to show that this leads to a slowing in the progression of the disease. 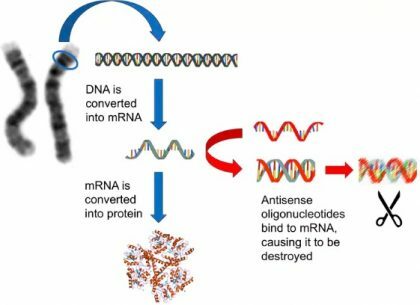 There is a lot of work that remains to be done to see whether antisense oligonucleotides could help in most types of neurodegeneration, and there are some really big challenges to be overcome. But these early studies, and smaller scale trials in rare diseases are providing the evidence to convince medical research funding bodies and drugs companies that it is worth investigating further. The article was first published in The Conversation.